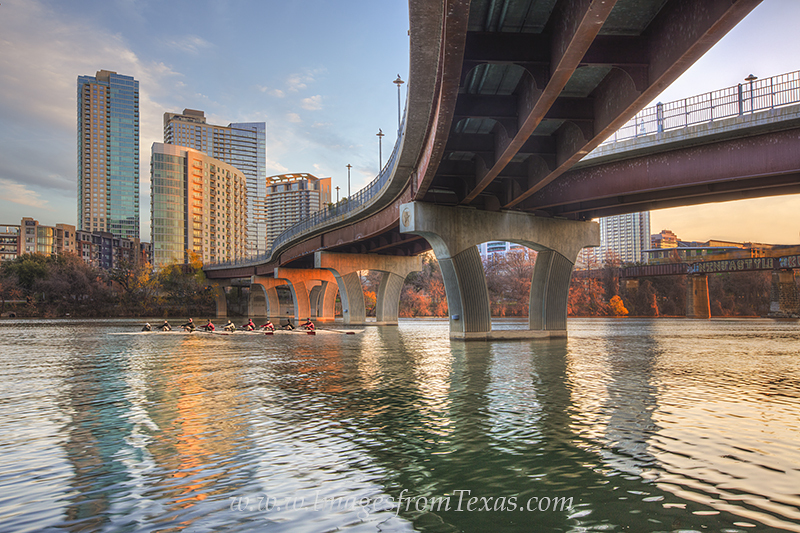 On a very cold January morning in Austin, Texas, scullers glide through the frigid air in the shadow of the downtown skyline. The sun had just risen over the horizon to the east and was beginning to light up the pillars holding the Pfluger Pedestrian connecting downtown with Zilker Park. Photo © copyright by Rob Greebon.